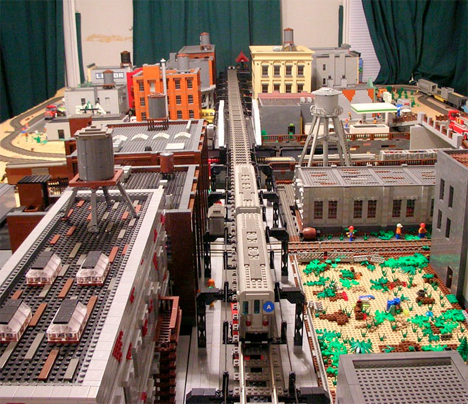 Familiar scenes from Brooklyn, from the local flower shop to the train station, are lovingly rendered in pixelated plastic by local resident and artist Jonathan Lopes. 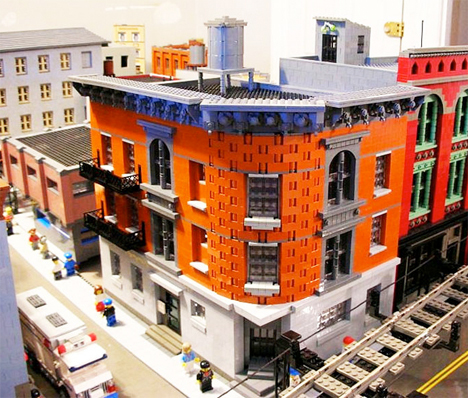 Lopes loves BK so much, he has filled his entire 400-square-foot living room with LEGO replicas of his neighborhood – and he does it without altering the bricks at all, working within the limitations of the retail sets. 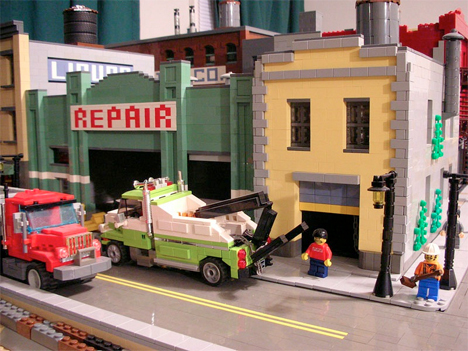 The obsession started with a Star Wars LEGO model purchased a decade ago, leading to the design of his own creations. 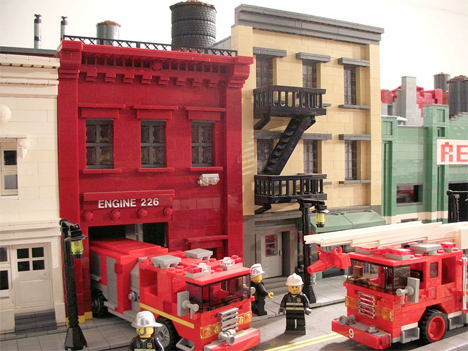 By 2011, Lopes had used a half-million bricks to mimic the Apollo Theater, trolleys in Red Hook, Firehouse Engine 226 and a gardening shop on Hoyt Street. Lopes told the New York Daily News that he works out his ideas while riding on the subway. 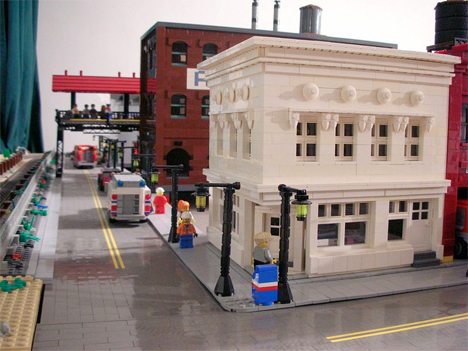 Some of the pieces, like a four-foot-tall model of the Williamsburg Savings Bank made of 12,000 bricks, go on display around the city, while others are dismantled almost as soon as they’re finished to build something new. 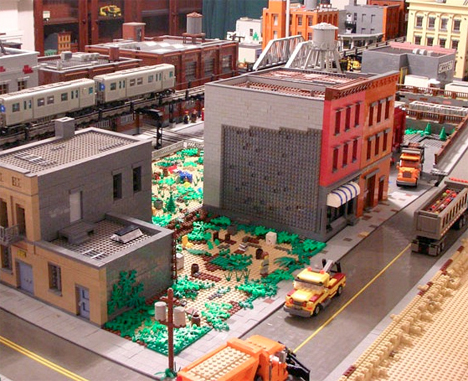 See Lopes’ entire LEGO Brooklyn at MOCPages.